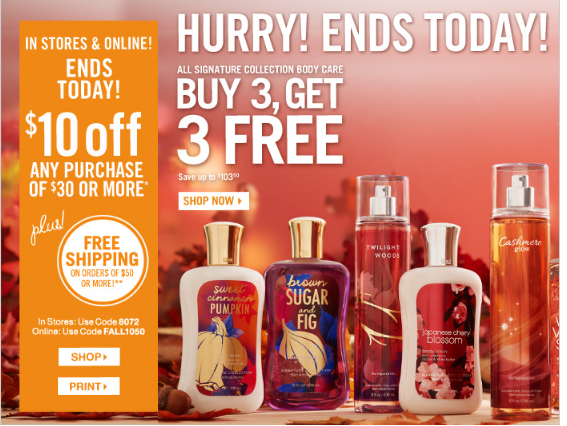 Bath and Body Works $10 off $30 or more and buy 3 get 3 free (ends today)! Free shipping on $50+ purchases. Go here to print. Use code FALL1050 online! 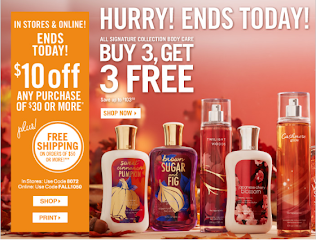 Get up to 5% cash back on your Bath and Body works purchase online when you go through Shop at Home first!